Looking at the steem blockchain, we can see that there are millions of existing users. Not all steemians post good content; some post/keep posting contents which are displeasing. At this point, I suggest that a "posts you may like" option should be induced to the application. This option will automatically show posts from steemians who the user interacts (upvote,comment and reblogs) with more often. Hereby, if the user keeps upvoting good contents, the application will keep showing the user more good and quality contents. This suggested option can be added among the options that pops up when a user clicks on the feed/blog option. Here is an example of my suggestion. 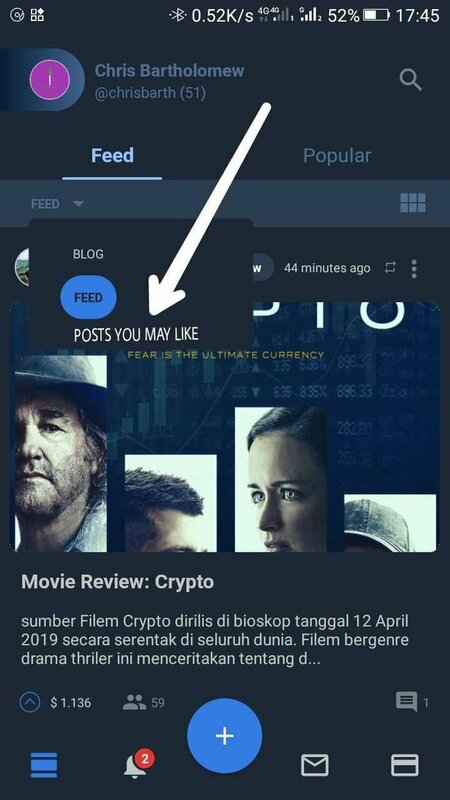 Once this feature is added, users will be able to either switch to their normal feed or the 'posts you may like' feed. Therefore, post from authors who the user doesn't interact with will be ignored unless the user intends to switch back to the normal feed. Users will enjoy their feed without having to see post from accounts they don't like (even when they have a need to follow the account). I know you can also unfollow users to stop seeing their posts, but it's not all users that you'll want to unfollow. Unlike me, I follow a total of approximately 400 steemians but do not like the post that some of them make. To keep the relationship between me and them, I'll rather use the 'posts you may like' feed instead of unfollowing them. Hi @chrisbarth, thank you for your contribution. You made a good post. 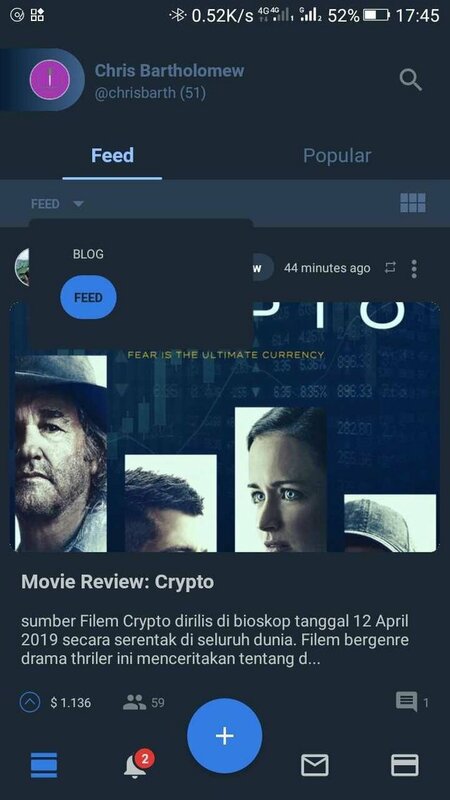 The idea is also good but I think that it will not be implemented since the app needs to process all your info to check which posts you like the most and then fetch similar posts and that consumes unnecessary server power. Also you have an easier way to filter what you like (just Unfollow them). I understand your point but I think that the Unfollow feature is there for that reason. In GitHub you added the bug label but it should be feature-request.